We seek the repeal of laws which criminalize speech against religion. While this law has not successfully been used to achieve a conviction it has been invoked on occasion. But more seriously this law gives moral cover for other countries not only to enact blasphemy legislation but enforce it. In Saudi Arabia atheism is now considered terrorism. In many countries a charge of apostasy can see you executed. It is difficult to condemn others while your own country maintains similar legislation. 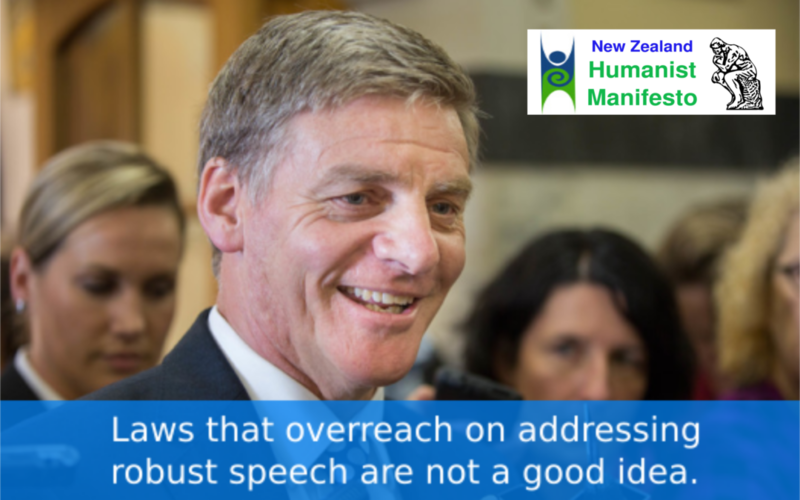 Repealing blasphemy law will send a strong message that New Zealand supports freedom of belief. This law gives special protection to religion that it does not deserve in a secular free and democratic society.